Ticket prices as listed; free to the VWU community. The Series is grateful for the support of the National Endowment for the Arts, the Virginia Commission for the Arts, and the Hugh Dougherty Visiting Artist Endowment. 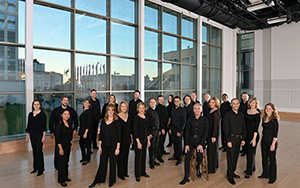 Feb 25, 2019 – 7:30 p.m.
Chorale cantatas, Johann Sebastian Bach’s gift to the Christian Church, fill an evening where the audience becomes the ‘congregation’ to sing the chorales. The Wren Masters, the faculty baroque ensemble of the College of William and Mary, join soloists Billye Brown Youmans, soprano, Charles Humphries, counter-tenor, Douglas Lynch, tenor, and Jeremy Yoder, bass, with VWU’s Vox Vera and Camerata; Dr. Bryson Mortensen, conductor. Cantata78 – “Jesu, der du meine Seele“ (Jesus, you are my soul), Cantata 54 – “Widerstehe doch der Sünde“ (Resist the Sin), and Cantata 140 – “Wachet auf, ruft uns die Stimme” (Awake, the Voice is calling us). 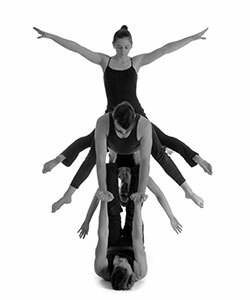 April 1, 2019 - 7:30 p.m.
Blending dance, theatre, and acrobatics to tell stories, the company keeps the qualities of lightness (Aura), strength (Atlas), and play (Curiosity) at the center. 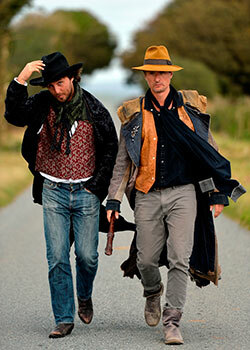 Lightheartedness, athleticism, and physical storytelling mark their delightful performances. April 16, 2019 - 7:30 p.m. This stunning performance featuring Red Priest's Piers Adams (recorder) and David Wright (harpsichord) focuses on the extraordinary, trailblazing music of the Seicento—the 17th Century. Frequently overlooked nowadays in favor of the baroque ‘household names’ who followed, the musicians of the Seicento were truly innovative—surprising, expressive, quirky and often demonically virtuosic. Adams follows historical precedent adapting the music for his arsenal of recorders. 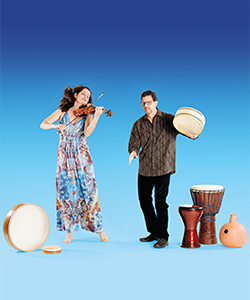 April 24, 2019 – 7:30 p.m.
April 29, 2019 – 7:30 p.m. 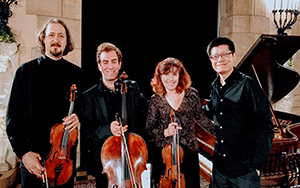 The Grammy-nominated piano quartet, winner of numerous top prizes at chamber music competitions in Melbourne, Tokyo, and Florence, and praised throughout North and South America, Europe, and Asia, features Alla Aranovskaya, violin; Boris Vayner, viola; Thomas Mesa, cello; and Tao Lin, piano. 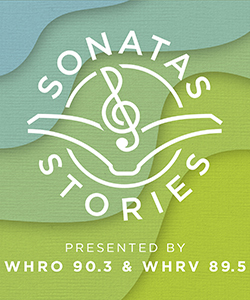 May 8, 2019 – 6:30 -7:30 p.m.
WHRO 90.3-FM and WHRV 89.5-FM present an evening of classical music, poetry, and storytelling featuring outstanding local writers and performers, with hosts Barry Graham and Wayla Chambo. May 12, 2019 - 4:00 p.m.
"Pioneering Voices: Celebrating Women Composers"
The Virginia Chorale with Charles Woodward, artistic director, celebrates its 35th anniversary with a tribute to women composers including works by Hildegard von Bingen, Fanny Mendelssohn Hensel, Lili Boulanger, and the legendary Alice Parker. Flautist Debra Wendells Cross, and pianists Stephen Coxe and Rebecca Raydo collaborate. Tickets ($25; $10-students): 757.627.8375 or info@virginiachorale.org.